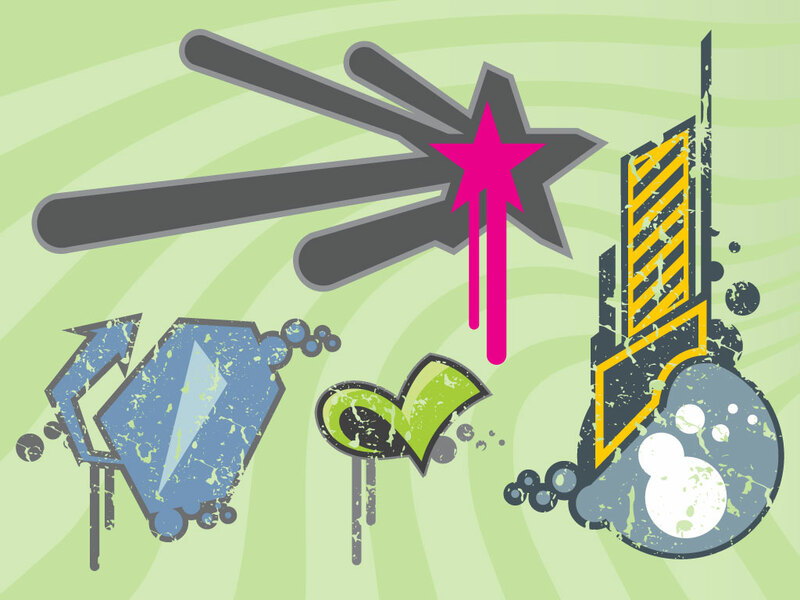 This cool urban graphics pack includes circles, swirls, arrows, stars sign and other geometric shapes. Great modern graphics for your designs, websites and apps. Tags: Abstract, Arrows, Drip, Modern, Street, Texture, Urban.